I find lunches difficult to make... I seem to run out of ideas in a hurry. I end up sending the same things every day it seems. So I am often on the look out for good ideas of things I can send with the kids to school. 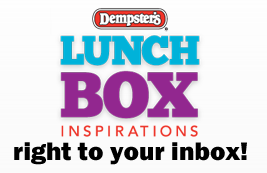 If you need a bit of Lunchbox Inspiration be sure to check it out.